Yes, Eigg has won another award!! A very tasteful glass award from the British Renewable Energy Awards. The Renewable Energy Association celebrate the achievements of companies and individuals who have done most to take forward Renewable Energy in the UK. 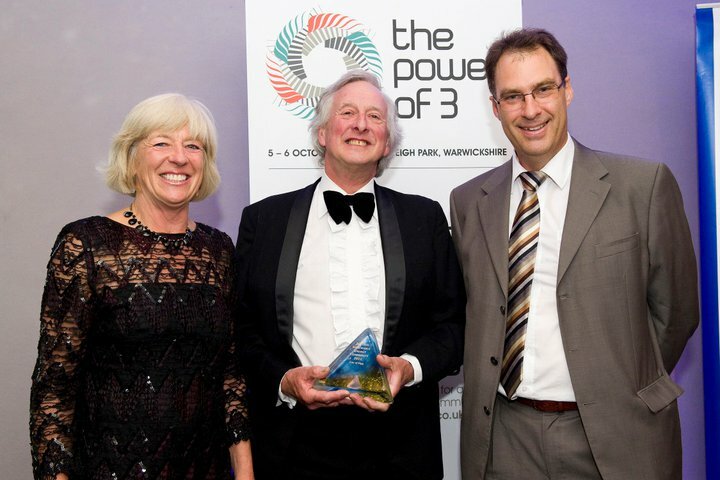 Hosted by UK BIG Lottery Fund Chairman, Peter Ainsworth, the Awards named Windelectric’s Peter Edwards and Godfrey Bevan, one of the founders of the Renewable Energy Association (REA), as joint Champions for their outstanding lifetime contribution to renewable energy. John Baldwin was also commended for his dedication and ongoing commitment to AD and biomethane.